 Log In needed $15 · GAP Boys Green Camo Popover Jacket AS NEW! Check your junk mail folder for my reply as they sometimes go there rather than to inbox. Great lightweight / easy to pack jacket if you are heading south for a family vacation! Gap Kids Boy's Windbuster Jacket. 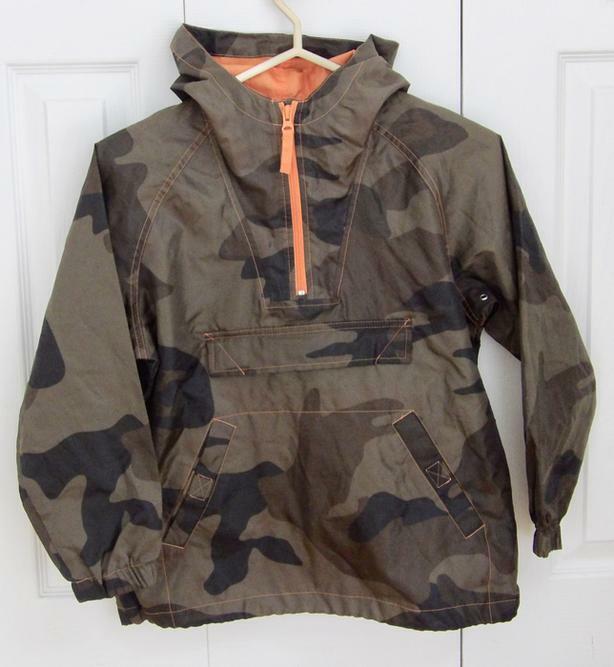 Size Medium (8) boys camouflage pull over jacket windbuster. Water-repellent. Excellent/as new condition. Pick up in Kanata ONLY please OR I can ship at buyer's cost.